"Great on burgers and for general meat seasoning." 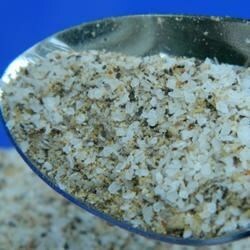 Mix an entire 26-ounce round container of salt with the pepper, onion powder, garlic powder, ground cayenne, and ground ginger. Store it in a dispenser with large holes for sprinkling. I use this seasoning in my Texas Venison recipe.